There have been a fair amount of people, celebrities included, who announced their endorsements for Hillary Clinton somewhat late in the game. It doesn't make their choice or opinions any less valid, but it is interesting to note that not everyone followed that particular path. Some Clinton voters have backed the infamous HRC since, well, forever. 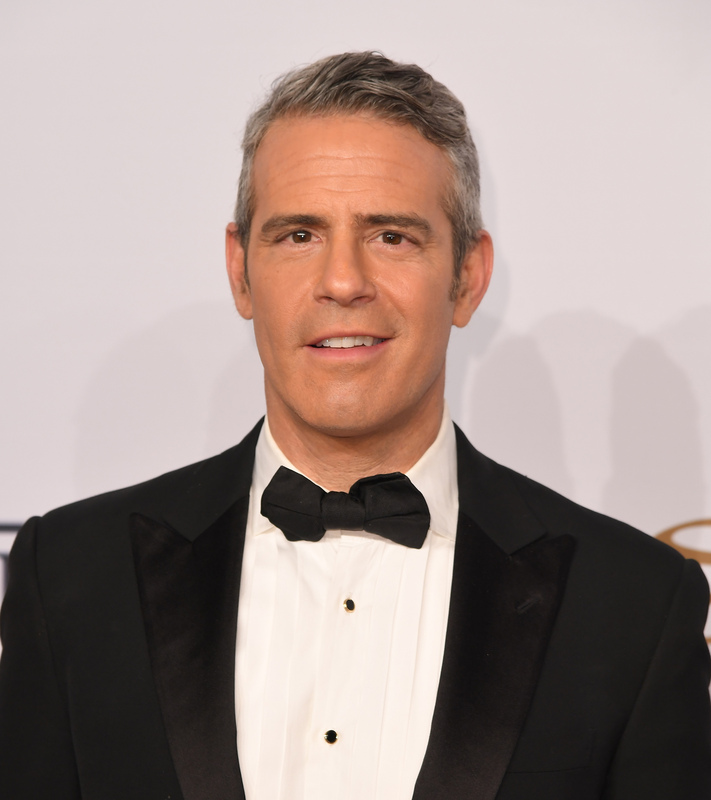 Case in point, Andy Cohen posted a throwback picture with Clinton, and it's proof he didn't just hop on the bandwagon. Cohen has been commandeering the HRC ship from the get go, and there's something admirable about that kind of unwavering loyalty. In fact, Cohen's loyalty and devotion to Clinton, the potential first female president is something he is quite proud of. The picture that looks to be from the '90s if Cohen's lack of signature salt and pepper hair and Clinton's statement making spectacles are any indication. In the caption of the photo, he noted, "I was with her then, too! #ImWithHer," followed by four American flag emojis. In this instance, it seems appropriate to switch things up and make today a #ThrowbackTuesday, social media trends be damned. Judging by their ear to ear smiles and what appears to be Cohen's hand affectionately holding the former Secretary of State's neck, he truly means what he says. It should be noted, that Cohen's been steadily posting about HRC before this throwback picture, anyway. He's documented everything from newspaper headlines to screenshots of her in action. He's also boasted more recent pictures of the pair together, and the host likened Donald Trump to "first season Real Housewives" when it comes to his debate style. And even when Clinton herself isn't directly involved, Cohen has proven time and again that being "with her" is in the forefront of his mind and motivations. Is there a bigger and more vocal celebrity Clinton supporter than Cohen at this point? Well, yeah, there's a lot of very vocal celeb Clinton supporters, but he's giving quite a few of them a run for their money.